A good domain name can be the difference between a torrent of traffic heading to your site, and the occasional accidental visitor. That’s why it’s important to make sure you register your ideal domain name now. Do it before it gets taken by a competitor, or worse – a cybersquatting scam. To prevent others from buying that domain. To make a profit through resale and advertising. Cybersquatters make profits through placing ads on domains. These usually contain common search terms, or even misspelt terms (like ‘goggle’ or ‘facebppk’). This is done in the hope that Internet users will land on their sites and click their ads. The more common incarnation of cybersquatting is where the perpetrator will sell the domain to the highest bidder. They purchase popular and desirable domains so that they can sell them at exorbitant prices later on. Some even pinch domains from existing websites as the owners miss a renewal deadline, and hold websites hostage until the owner coughs up. The registrant registers the name with the purpose of selling, renting or transferring later on. The domain is registered to prevent the owner of the trademark or service from reflecting the mark in a corresponding domain name. The registrant bought the domain with the purpose of disrupting the business of a competitor. Through using the domain name, the registrant has intentionally attempted to attract Internet users to the website for commercial gain. This is done by creating a confusion due to the similarities with a trademark or company name. To fall victim to a cybersquatting scam can be frustrating, however it is not always a lost cause. Madonna famously retrieved the domain name Madonna.com after a domain squatter had turned it into an adult entertainment site. The animal rights organisation PETA was also able to overcome an incident where they fell victim to a spoof site PETA.org that stated ‘People Eating Tasty Animals’ as their tagline – a direct contradiction to PETA’s mission statement. Both of these instances were resolved through a combination of legal action, negotiation and following the Uniform Domain-Name Dispute-Resolution Policy (UDRP). Now we admit that it may be easier for celebrities and trademark organisations to resolve issues like this. However, there are processes you can follow to make sure you get your domain back. Firstly, we suggest consulting a lawyer who has experience in Internet and intellectual property law. This will help any petitions made later on, and attempts at voluntary negotiation. If these don’t work, you could file a UDRP. 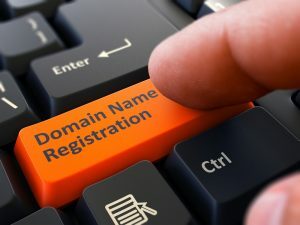 UDRPs are only applicable if someone has registered a domain name in a generic top-level domain (gTLD) operated under ICANN (Internet Corporation for Assigned Names and Numbers). It provides a mandatory, low-cost administrative procedure to resolve claims of abusive, bad faith domain registration. With the US relinquishing control of ICANN, and a batch of new TLDs being released, now is the time to register your ideal domain name. And if you spot any instances of cybersquatting, you can use the UDRP process to get your domain name back. If you want to know more about domain registration, contact Broadband Cloud Solutions today.